The past year was a busy one for the team in the Trenton building the newest boats out there! We built two M42s over the winter, ready to be delivered to their new owners in the spring. Both of them were nicely customized by their owners, with some amazing woodwork completed by our talented craftsmen and finished off with wonderfully bright varnish. Both Lady C and Allegra were delivered to the Long Island Sound area to increase the already healthy M42 presence in that area! We also delivered the M52 we completed last year to her new owner in San Francisco in April, trucking a boat of that size across the country is no mean feat, not to mention an 80ft mast! She can be seen blasting around the bay under the name Audacity and everyone on board is sure to have a big smile on their face! The last U.S. Coast Guard Academy Leadership 44 training boat was also delivered in the spring, we completed a wonderful project with them and are proud to have the Coast Guard teaching their officer cadets the ways of the sea in a Morris! All 8 of the boats are based at the USCG Academy in New London, CT where they have a wonderful facility and safe docks for the boats. On the M36 front, we built two more this year, bringing the tally up to 70! Both boats were clad from head to toe in gorgeous gloss varnished teak, and will be turning heads wherever they may go. One was also given a faux wood painted mast that looks amazing! These boats, Serendipity and Darling have homes in Long Island Sound and Nantucket respectively and are happily back up in Maine for the winter to get a fresh coat of varnish! Finally, we delivered M2914 to her happy new owner in August. After being the star of the Bar Harbor July 4th parade we whipped her back into the shop, added a few details, gave her a name (SurelyCurly II) and delivered her to beautiful Port Clyde, Maine where she is tacking through the wonderful islands and looking beautiful! If we weren’t busy enough, we also found time to build a full scale mockup of the interior of the exciting new M46, anybody is welcome to come visit and spend some time looking over it! As in past years our winter and spring production schedule is comprised of boats large and small. In 2014, we will be building two M36s, an M29 and an OS 48 GT. M3671 will sport teak decks and an electric anchor windlass mounted inside of the foredeck locker. Seatrials are set for March, once complete the boat will be packed and shipped to Brazil! Our next three customers asked us to take some extra time to come up with ideas and innovations which would increase the performance of their respective boats. Working with our salesmen, Brendan Abbot at Sparkman and Stevens, Jim Taylor at Taylor Yacht Design and others we were able to add a number of features that increased sailing performance significantly on all three. The owner of M2917 was drawn to the traditional lines and beauty of the M-Series; not wanting to give up on the sailing performance of his earlier boats he asked us to find ways to make his M29 stealthy fast. M2917 will have an extra tall rig with carbon fiber boom, a deep keel, a short bowsprit for the Gennaker, 3Di North Sails and some modest weight savings to improve performance while maintaining the ability to single hand this gem in local waters. Several of the changes mentioned above and a suite of woodworking details inside and out will make M3672 a fast and very attractive vessel. This boat will be a head turner with teak decks, raised panel bulkheads, cherry veneered bulkheads and the entire overhead covered in white ceiling strips. 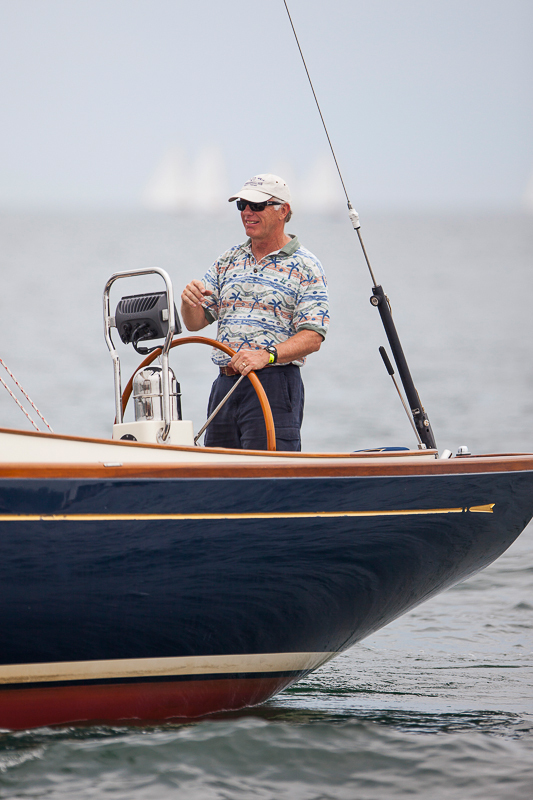 The owner will sail his M36 in Lake Ontario near Rochester, New York. The owners of our first Ocean Series 48GT were looking for an able cruising vessel for trips with their children and grandchildren and a nimble boat on the race course. They found the answer to their dreams in our redesigned OS48. While the OS48 is an agile and fast sailing vessel it also a terrific cruising boat. Wanting to improve on each attribute, the owners of the new 48GT have added custom interchangeable keels; one for performance sailing and the other for ocean cruising. Each keel will be designed with the same keel bolt pattern and sump configuration allowing us to replace the other as the family’s sailing needs change over the years. A custom mast and boom along with a variety of sail handling details on deck will make this boat a true contender. True to our nature Morris Yachts will explore any and all options for our customers in order to meet all their sailing needs. Thankfully we have a versatile and dedicated crew. « A Piece of Morris Yachts’ Heritage is Restored!